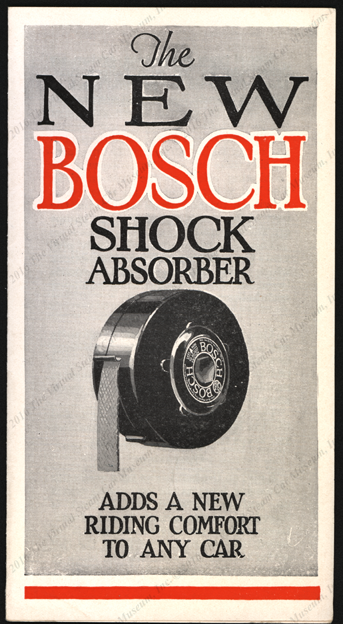 The American Bosch Magneto Corporation sold shock absorbers to automobile manufacturers. 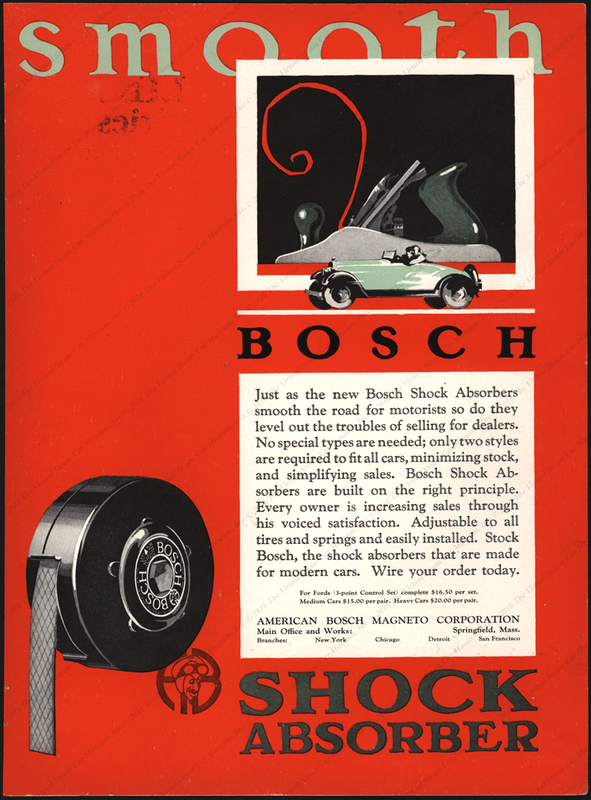 In designing its 1925 car, the Model SV-252, the Steam Vehicle Corporation of America used Bosch Shock Absorbers. The 1925 SV was wired to take an electric windshield wiper, probably the Bosch windshield wiper. This appears to have been a dealer added option. The Steam Vehicle Corporation used Bosch snubbers on its 1925 and 1926 model cars, the SV252 and SV262 Series Cars. 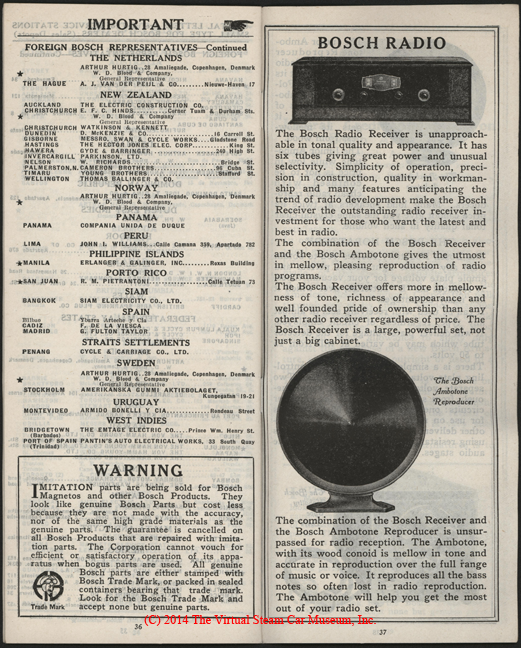 Bosch's catalogue primarily features its magnetos for internal explosive cars, but it used the opportunity to promote its new radio. 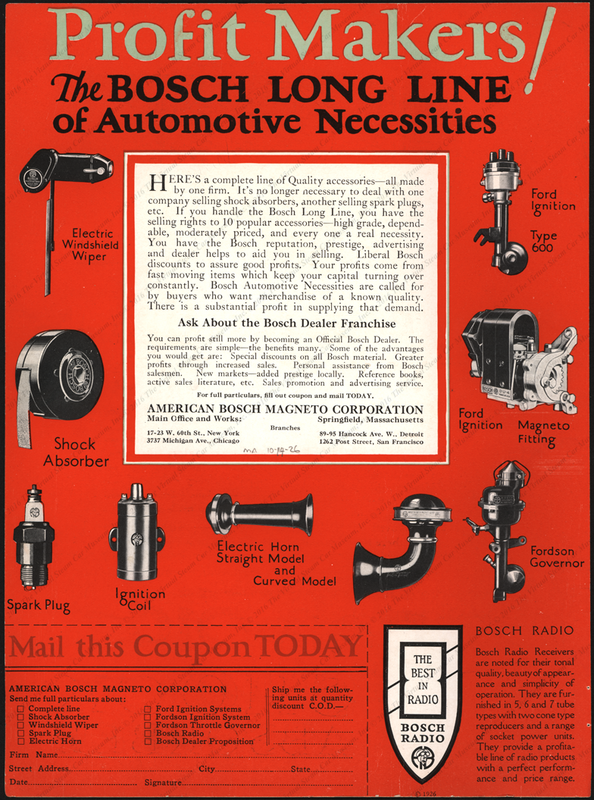 The American Bosch Magneto Corporation sent this flyer to its retailers, promoting not only its shock absorbers but also a range of gasoline car aftermarket products. 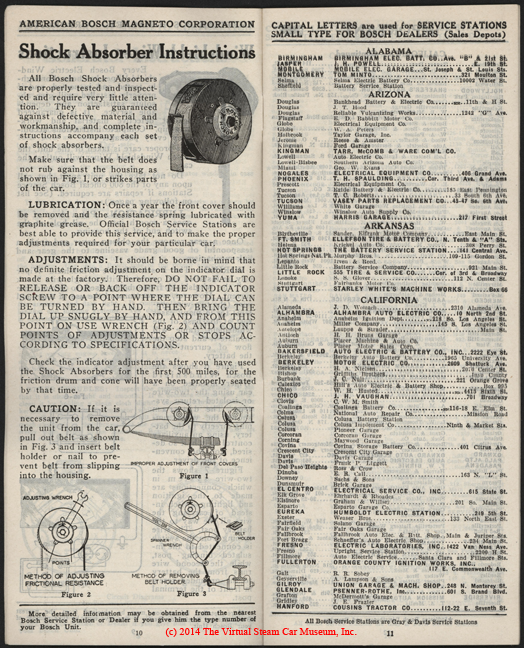 The American Bosch Magneto Corporation produced this brochure in June 1927, showing the internal workings of its snubbers. Contact us if you have additional information about the American Bosch Magneto Corporation, or if you have questions.